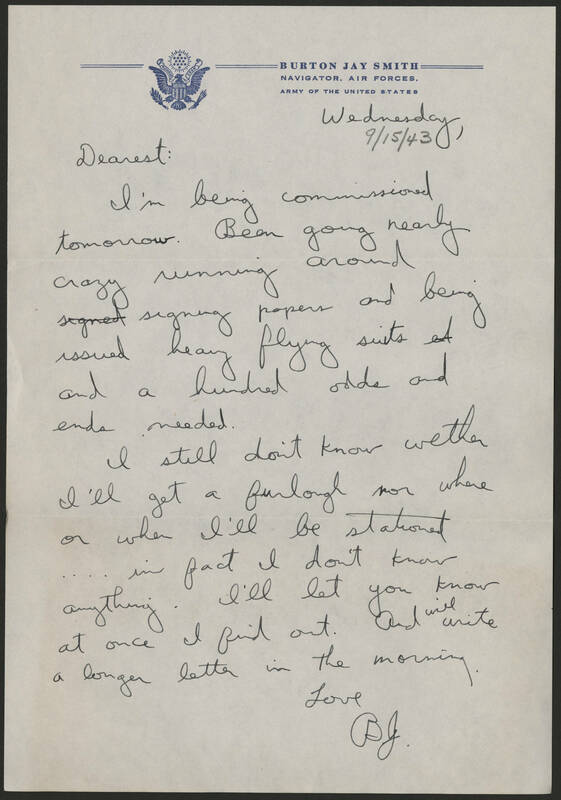 Wednesday 9/15/43 Dearest: I'm being commissioned tomorrow. Been going nearly crazy running around signing papers and being issued heavy flying suits and a hundred odds and ends needed. I still don't know wether I'll get a furlough nor where or when I'll be stationed.... in fact I don't know anything. I'll let you know at once I find out. And will write a longer letter in the morning. Love B.J.